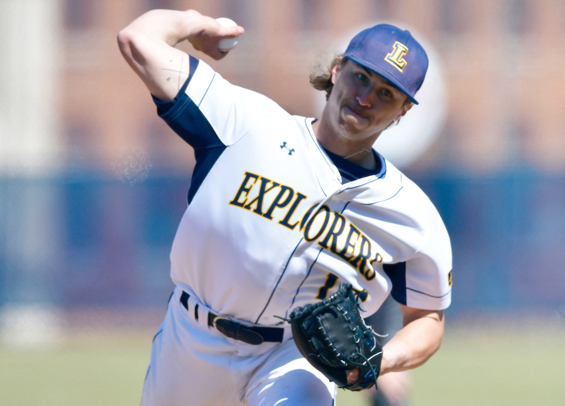 Despite the tough start to conference play, the La Salle baseball program has seen a resurgence this year under head coach David Miller and one of the stars this season has been senior right-hander Connor Hinchliffe. The Pottsville native was named to the Golden Spikes Award midseason watch list by USA Baseball on Wednesday. The Explorers' closer has made 17 appearances this season, posting a 1.66 ERA while collecting 32 strikeouts over 21 2/3 innings of work. Former Major League stars that have captured the award include Tim Lincecum ('06), Pat Burrell ('98), Mark Kotsay ('95), Robin Ventura ('88), Jim Abbott ('87), Will Clark ('85), Dave Magadan ('83), Terry Francona ('80), Tim Wallach ('79), and Horner ('78). Semifinalists will be announced on May 15 and the winner will be named on June 14. Hinchliffe is one of 40 amateur players on the list. His eight saves this season is five shy of matching Pat Christensen's program record of 13.